Last IPL, Swiggy delivered some of the most memorable commercials (remember the Gulab Jamun uncle?) of the cricketing season, IPL 2019. The food ordering and delivery platform is back with three new commercials that celebrate India’s undying love for cricket and food in a witty and relatable manner. The multilingual campaign has been conceptualised by Lowe Lintas, and viewers can once again enjoy voice overs from commentator Harsha Bhogle and former cricketer and commentator Aakash Chopra who have lent their voices to these commercials. Continuing with the ‘What a Delivery’ theme from last year, Swiggy is allowing consumers the convenience of enjoying the cricketing action while it takes care of all their food needs. Shot in an entertaining and tongue-in-cheek manner, the ads are inspired by everyday situations with simple storylines and minimum dialogues. In what has become Swiggy’s signature style, they are sprinkled with cricket commentary like ‘fans have stomped the ground’ and ‘batsmen showing very little intent here’, keeping them both relevant and humorous. Commenting on the release of the new commercials, Srivats TS, VP Marketing at Swiggy, said “This cricketing season, we wanted to highlight how Swiggy is there for you when food comes in the way of what you really want to do, which is watching cricket in this case. Be it roommates or long-lost friends watching the big match, or even those witnessing the IPL frenzy from the sidelines, the ads bring alive the convenience users turn to Swiggy for, while also underlining the brand’s benefits in a likeable and engaging manner. The TVCs are a mix of consumer insight, targeting and product communication which is clutter-breaking”. The first commercial shows two roommates having an argument on who would cook ‘egg bhurji’ while the match is on. With neither showing any intentions of leaving the couch, they turn to Swiggy. 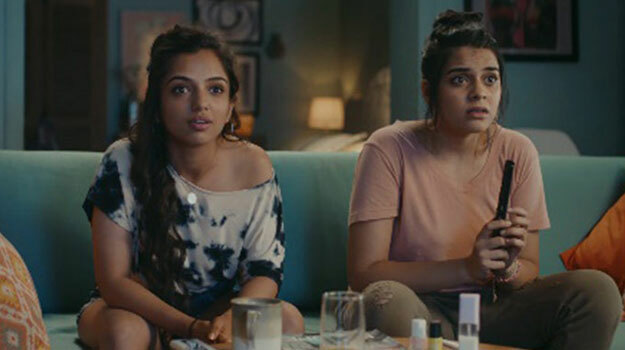 Another commercial shows two women complaining about their families ‘wasting time watching cricket’ as cricketers get all the fame and money and they get nothing in return… until the batsman hits a six and they quickly turn to Swiggy to cash in on the Swiggy Sixes discount. The last commercial shows a couple. The husband has ‘mistakenly’ invited all his school friends over to watch the match, while he has only prepared a meal for two guests. As the whole group turns up, they turn to Swiggy for the unexpected guests! After influencing a change in consumers’ food-ordering habits with some unique differentiators such as ‘No Minimum Order’, ‘Lightning Fast Delivery’ and ‘Variety of Restaurants’ to choose from, Swiggy continues to tickle their bones and taste buds by being true ‘Hunger Saviors’ and offering some mouthwatering deals. At the start of the T20 cricket season, Swiggy launched Match Day Mania, a 43-day long food festival that offers discounts across 32,000+ restaurants across 100+ cities. Apart from television, this integrated campaign is being promoted across print, radio, digital platforms, as well as in restaurants. The popular innovation by Swiggy this IPL season is Swiggy Sixes. Here, users can get 60 per cent off on every Swiggy order placed within six minutes of an IPL sixer by entering a coupon code. Besides the T20 in-game ads, the campaign will run on digital and across the brand’s social media platforms.